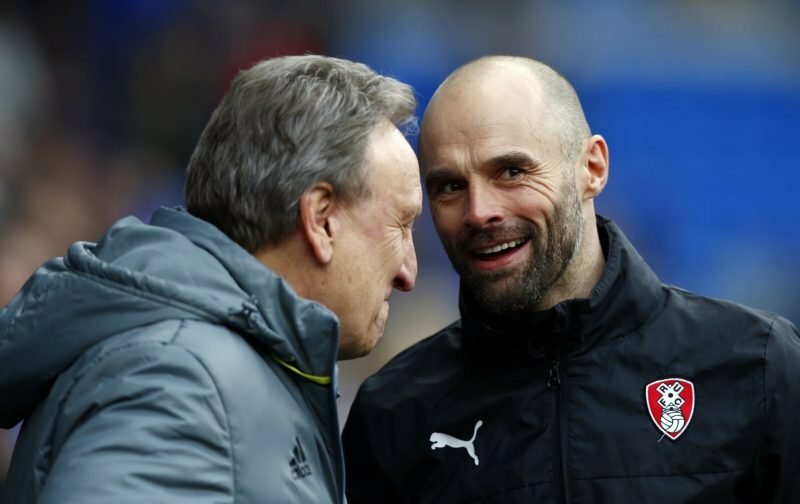 Rotherham United Manager Paul Warne was pleased that his team got a win over Neil Warnock’s Cardiff City this evening saying he was really proud with the way all his lads had played. He told iFOLLOW that he was impressed that his team scored twice against Cardiff and also that he thought the Millers created more chances. I thought Rotherham were far the better side and City didn’t really know how to handle us when we started running at them. One of the good things is that twenty-one players got minutes of the pitch today with Will Vaulks playing all ninety – and there were no injuries to report at the end of the game. New boy Sean Raggett played just under half-an-hour with Marek Rodak, who got a loud cheer when his name was read out on the subs bench before the game, played the whole of the second half. All in all it was a good workout for Rotherham and, dare I say it, we look almost ready to start our season. Personally, I think we need another – or two – midfielders to finish the squad off.